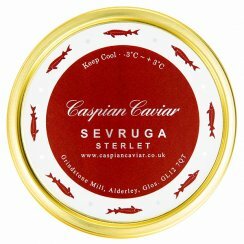 Good Sevruga caviar is hard to find as the small Stellatus sturgeon are not widely farmed. This is a perfect example of what Sevruga caviar should be - small, soft, grey eggs delivering a punchy flavour. Some people will eat no other type of caviar.